Where do you fall in the “breakfast vs. no breakfast” debate? Some of us can’t imagine a day without a good breakfast, while some can’t be bothered to stop to eat before heading out the door to their busy, nonstop days. Happily, that’s why weekends are so great! (Well, one of many reasons…) You can slow down and spend some time in your comfortable pajamas and put together something good for you and yours. It’s sort of like hitting the “restart” button…everyone at home, slowing down and being lazy together … touching base again. Here are a few breakfast ideas that I love that you can share with family or friends as you reconnect, something that I feel is extra important in our moving-too-fast world. 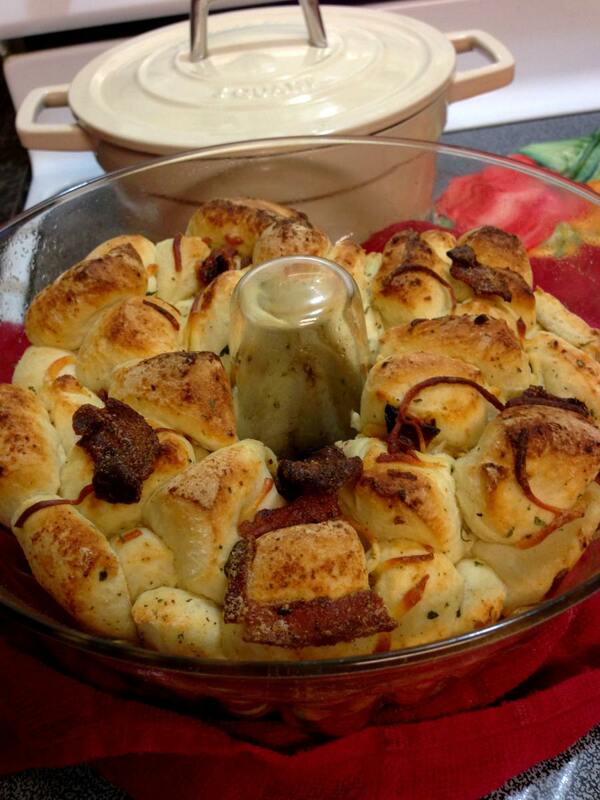 The bread is soft and fluffy, the bacon is crisp and delicious, and the cheese adds another level of flavor that I enjoy very much. The preparation is quite easy, too! I think this would be a wonderful thing to eat after the whirlwind of Christmas gift opening, with a cup of coffee or cold milk. It smells amazing as it bakes! I made it recently when my sons had a few friends over, and they all loved it. This makes me happy. Click here to get the recipe. 2. Sausage breakfast pizza: full of the warm, savory protein that your mom’s Saturday morning breakfasts offered, but it’s faster to make (or make ahead) since you can assemble the night before or just before the kids wake up. Click here to get the recipe. 3. 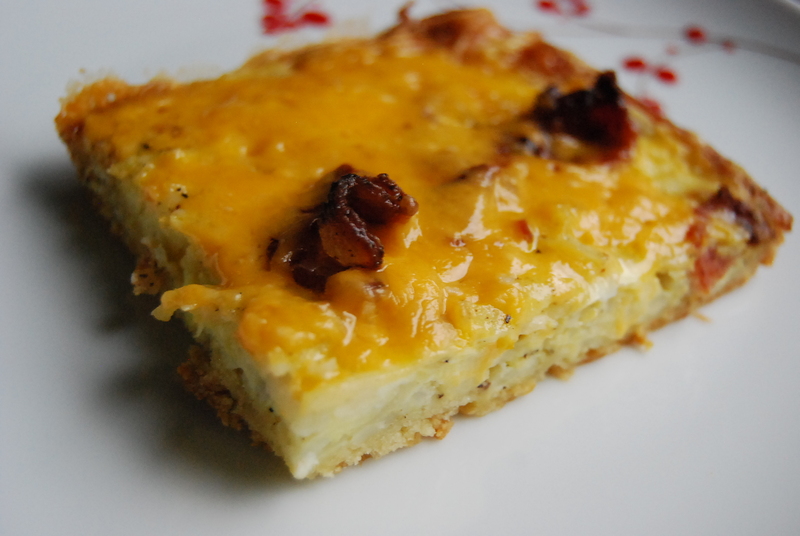 Rainy weekend mornings inspire me to create something warm and comforting for breakfast. I love to allow the scent of something delicious cooking in the kitchen lure my sons from their beds in the morning. 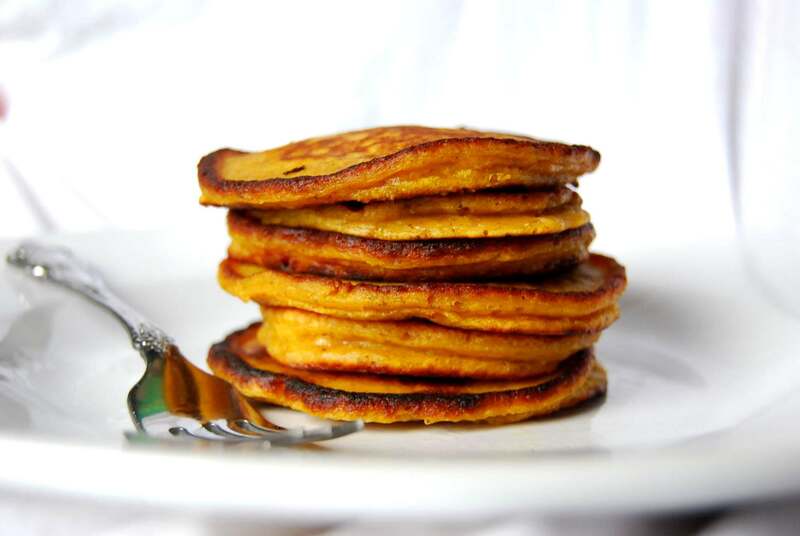 Here’s my recipe for pumpkin pie pancakes. They’ll get them out of bed in no time, especially if you add a few strips of bacon on the side. Or, if you prefer, here’s a simple recipe for regular, wonderful pancakes. They’re always a winner! They keep coming back for seconds, and sometimes, even thirds. They all look divine, but those pancakes … and the crispy edges. Oh, man! I know! I love a good pancake or three. 🙂 I just don’t like the kind from a boxed mix. They have a funny flavor to me,you know?